Ethel is a feature length documentary about the remarkable life of Ethel Kennedy, told by those who know Ethel best: her family. Directed by her Emmy-Award winning daughter, Rory Kennedy, the film features candid interviews with Ethel and seven of her children. 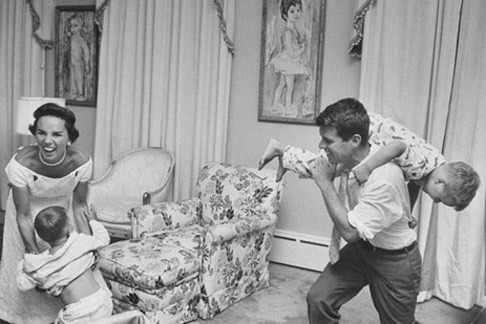 The film is a personal portrait of Ethel’s political awakening, the life she shared with Robert F. Kennedy, and the years following his death when she raised their eleven children on her own. Intimate, funny, and deeply moving, Ethel offers a rare look inside a political dynasty strengthened by family bonds, a compassion for others, and a wisdom forged from both hardship and triumph. The film is scheduled for broadcast on HBO in 2012.